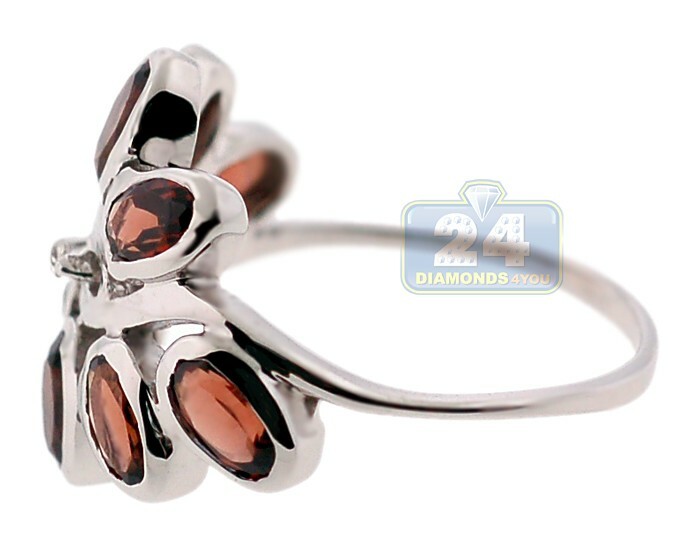 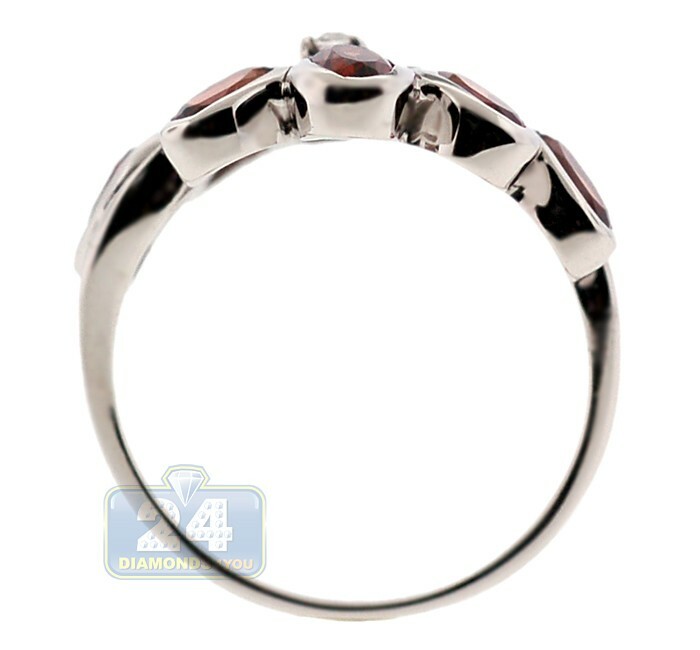 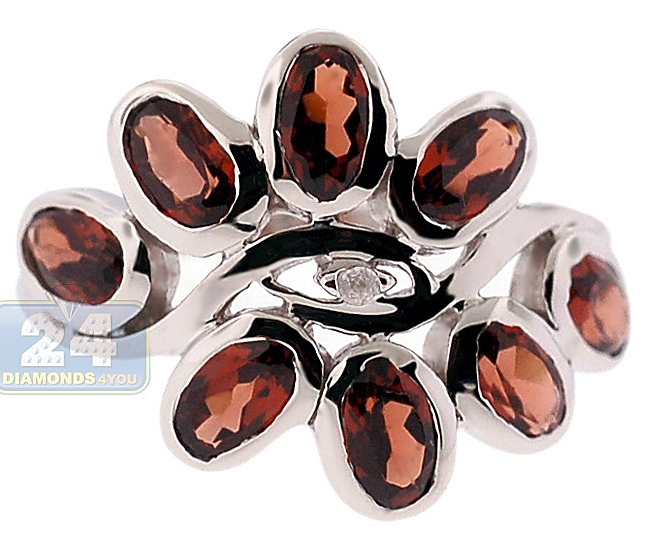 Inspired by a gorgeous flower and created by humans, this women's ring features an impressive red garnet gemstones expertly handset in a wonderful harmony with highly polished 925 sterling silver lines. 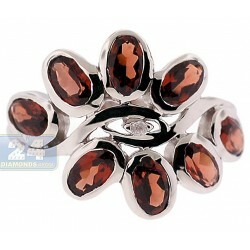 All these eight pieces of oval shaped precious stones are weighting approximately 2.80 carat. 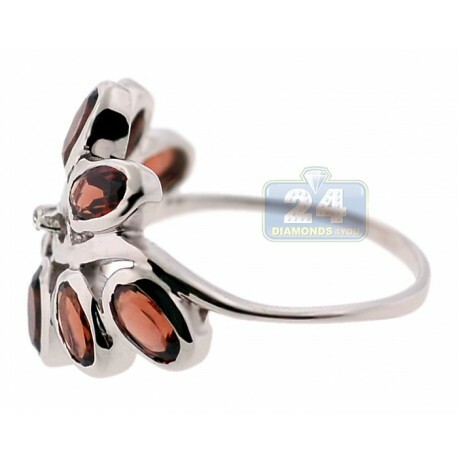 Simply amazing accessory to wear for any occasion!